It's been a while since we've seen or heard from Kelis. The stylish singer decided to step away from the recording studio and the red carpet for a minute to pursue her passion for food. That's right, the "Milkshake" songstress actually became a chef. And if you need more proof, she just debuted a reality show called "Saucy & Sweet" on the Cooking Channel, which follows the star both in and out of the kitchen. While we're thrilled she's making a name for herself as a chef -- let's be honest, it's Kelis' eye-catching style that we've really been missing. So we were super excited that The Coveteur decided to catch up with the singer/songwriter/chef as she makes her triumphant return to the spotlight. 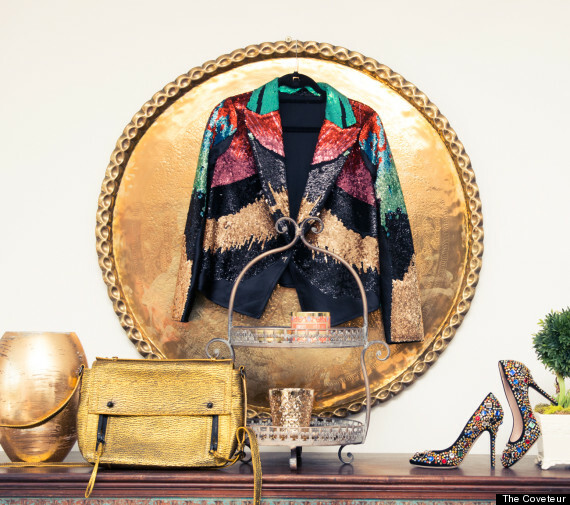 We're beyond jealous that the style website got to rummage through Kelis' designer packed closets, attic and guest house. And while exploring these treasure troves, basked in the beauty of her enormous vintage and shoe collections. "I don’t ever want to part with any of my shoes," Kelis told The Coveteur. "They all have a special place in my heart because they say something about who you are today." In fact, the Harlem native, who describes her style as "emotional and themed," still has the first pair of designer shoes she ever splurged on: pink thigh-high Giuseppe Zanotti boots. But when it comes to beauty, her must-haves are more simple. "I can't live without Eucerin cream, lip gloss, gum, nail polish, and sparkly things," Kelis said. Here are some of our favorite photos from Kelis' feature -- and make sure to visit The Coveteur for a closer look at her enviable wardrobe and sick style. Music video by Kelis performing Milkshake. (C) 2003 Arista Records, Inc.